You can save money on disposable razors and avoid the pain of waxing with Braun's SoftPerfection Epilator. 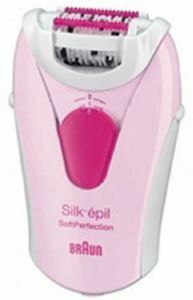 This epilator removes even short, flay-lying hair -- so you can enjoy silky smooth skin for up to four weeks. Even better, it is extra gentle and significantly reduces the discomfort that other hair-removal systems cause. And although it is a great way to get those legs gorgeously smooth, it comes with additional attachments for underarm and bikini -- your most sensitive areas. This epilator includes a cleaning brush comes for quick, easy maintenance and an AC adapter.